(Nanowerk Spotlight) Bridging the world of atoms and nanoparticles is a class of ultrasmall nanoclusters that contain less than 100 atoms and measure just one or two nanometers. Exploiting the unique properties – optical, magnetic, catalytic – of these nanoclusters in fields such as sensors, microelectronics, biotechnology, energy, and especially catalysis, requires atomically precise fabrication techniques. Making the synthesis of ultrasmall metal nanoclusters much easier than before, researchers have now demonstrated the development of a millifluidic chip as a novel approach for reproducible, high-throughput, and controlled synthesis. "We are trying to bridge the current gap between exotic microfluidic reactors and well-established flask reactors for controlled synthesis of nanomaterials," Dr. Challa Kumar, Director of the Nanofabrication & Nanomaterials Center for Advanced Microstructures and Devices at Louisiana State University, tells Nanowerk. "Our preliminary findings demonstrate that a simple, easy to fabricate millifluidic reactors has the potential for controlled synthesis of nanomaterials." Until now, the focus has been primarily on developing sophisticated microfluidic reactor designs in order to control the formation of nanoparticles. What Kumar and his team show is that such an expensive approach is not needed and even a simple millifluidic systems can be utilized for controlled synthesis and in situ characterization of nanomaterials. The researchers report their findings in a paper in the February 2, 2012 online edition of Small ("Developing a Millifluidic Platform for the Synthesis of Ultrasmall Nanoclusters: Ultrasmall Copper Nanoclusters as a Case Study"). "Our prime motivation comes from the vision we have as a part of recently established Department of Energy's Energy Frontier Research Center (EFRC) at Louisiana State University(LSU) – The Center for Atomic Level Catalyst Design – to develop tools for synthesis and characterization of atomically precise metal cluster catalysts," says Kumar. "We anticipate that this shift in approach will advance the field of lab-on-chip devices for controlled synthesis of nanomaterials. 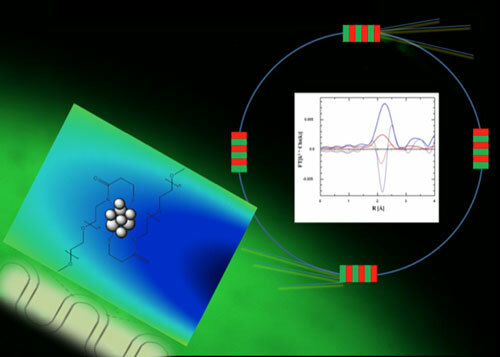 In addition, the platform that we are advocating would also be an excellent tool for carrying in situ measurements of chemical reactions in general and nanoparticle formation in particular by probing the reaction using a number of spectroscopy tools at different space intervals on the channels and convert the spatial resolution into time resolution." He points out that, while traditionally microfluidics deals with the behavior, precise control and manipulation of fluids that are geometrically constrained to sub-millimeter scale, his team has recently introduced the concept of millifluidics defined as manipulation of fluids in millimeter scale with either width or depth or both are at least a millimeter in size ("Size Evolution of Gold Nanoparticles in a Millifluidic Reactor"). "In comparison with microfluidic reactors, millifluidic reactors are easy to fabricate and offer similar control over flow rates and manipulation of reagents" explains Kumar. "They can, in principle, also withstand higher pressures and hence higher flow rates, creating smaller residence times thereby offering the possibility to generate ultrasmall nanoclusters." For their proof-of-concept demonstration, the researchers fabricated ultrasmall copper nanoclusters in a polymeric millifluidic reactor by varying different flow rates and using a facile aqueous-based one-step reduction process of copper salts under inert atmospheric conditions. "Using the approach we are developing, it should be now easier to prepare atomically precise nanomaterials and study in situ their formation so that we can literally probe the nanoparticle formation as it happens," says Kumar. "This was previously limited using traditional micro reactors where the small volumes limit the concentrations required for better signal to noise ratio. In addition, there is a potential opportunity for scale-up as well as for automation retaining the similar control." The method can be utilized to synthesize practically any type of nanomaterial provided appropriate reaction conditions are identified. The reactions can be probed in situ in order to generate time resolved kinetic information of nanoparticle formation. A far reaching goal for the scientists is to identify the nanoparticle formation with atomic precision as it happens within the channels and manipulate the channel dimensions and flow rates to obtain atomically precise nanoparticles. In summary, a millifluidic platform has been demonstrated to be a simple, inexpensive tool for controlled, large scale and automated synthesis of nanoclusters. In addition, a millifluidic chip can also be used as a tool for probing reactions using any number of spectroscopies.